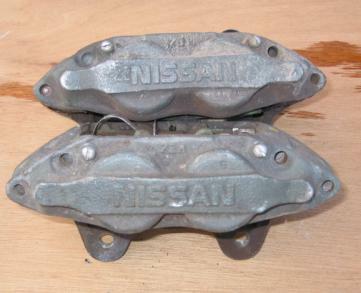 These calipers were pulled off a twin turbo 300zx. They are for the 30mm rotors. One rotor is painted. They come with the bolts. I bought these for installation on a 240sx, but sold the car without these. They come with brake pads. The picture is just a sample picture.